I Was In An Auto Accident While I Was On Vacation. What Do I Do? There are a few things that can ruin a vacation very quickly. Becoming ill, losing your wallet, delayed flights, lost luggage, and car accidents are just a few. Maryland has beautiful vacation spots that attract thousands of tourists each year. Unfortunately, some tourists will be involved in a car crash while visiting Maryland. Likewise, many of our friends and neighbors leave Maryland on vacation each year. Sadly, some Marylanders may be involved in an out-of-state car accident while they are traveling. Whether you are a resident of Maryland or a tourist, the Pinder Plotkin Legal Team can help you protect your legal rights by filing a car accident claim. Most of the steps you need to follow after a car accident in your home state apply to an out-of-state auto accident. If you are on vacation and involved in a car crash, the first thing you should do is call 911 to report the accident. Many states require drivers to report accidents even though there may be little to no property damage or injuries. Therefore, you need to err on the side of caution and report the crash. Furthermore, you need an official accident report for several reasons. Even if you do not believe you suffered serious injuries, you could realize after you return home that you were injured. A police report provides an official record of the collision, but it also provides vital information you need for an injury claim, including the other driver’s name and the driver’s insurance information. The police report may also have other vital information important to your claim, including the police officer’s determination of fault. You need to notify your insurance provider as soon as possible. Some states have extremely low minimum car insurance amounts. You might need to access your underinsured motorist coverage if the at-fault driver does not have sufficient insurance coverage to pay all your claims. If you are driving a rented vehicle, you should also notify the rental car agency immediately. Your rental agreement may require you to take specific actions after a car accident involving the rental vehicle. It is important that you comply with the terms of the lease agreement. However, you may want to consult an Annapolis car accident attorney before providing statements or signing documents for the car rental agency. You want to ensure you do not relinquish your legal rights or accept liability unnecessarily. Do not forget to notify your insurance agent and verify whether your insurance covers the rental vehicle. If possible, take pictures and make a video of the accident scene. You should try to capture the location of the vehicles, signs, red lights, road markings, the surrounding area, and any other items that could be a factor in the accident. Also, ask eyewitnesses to provide their names and telephone numbers. It could be very difficult to locate these individuals after you leave the area; therefore, try to get as much contact information as you can from each of the witnesses. You need to see a doctor. If you are not seriously injured, you might want to see an urgent care doctor if you will remain in the area for a few days. Documenting your injuries are important too. Therefore, even if you intend to see your family doctor when you get home, it can be helpful to report your pain and other symptoms to a doctor and be checked for injuries that might not be immediately known after a crash. For serious injuries that will require you to remain in the area for a week or more, you might want to consider meeting with a local attorney who handles car accident claims. A local attorney is familiar with state laws and procedures for filing an accident claim. In addition, a local attorney knows most of the insurance adjusters assigned to the area and how to deal with the insurance companies. Also, a local attorney understands the state laws governing deadlines for filing accident claims. 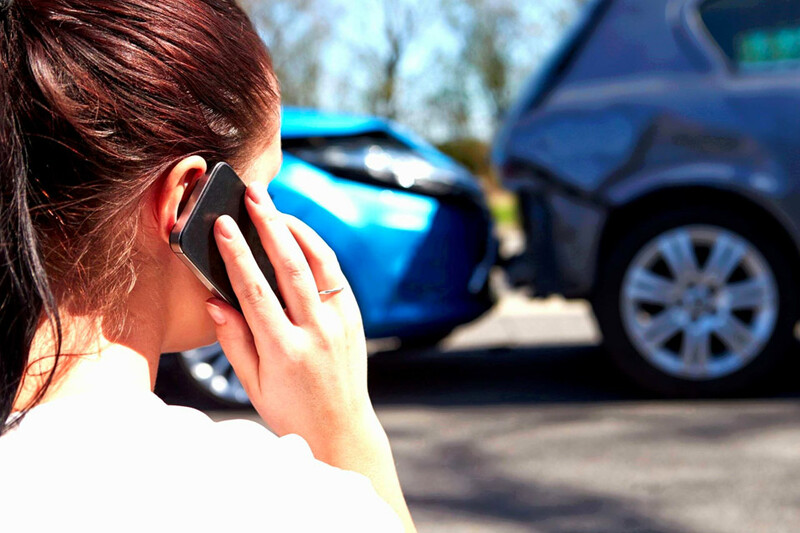 Even if you suffered only minor injuries, a local car accident lawyer might be able to help you locate a local repair shop or arrange for a rental vehicle to get home. If you do not consult a local accident attorney after a car accident while on vacation, you should speak with an attorney when you get home. A car accident during your vacation causes immediate problems. However, you may also have problems after you get back home. An experienced car accident attorney can help you navigate the issues related to car accidents while on vacation. Whether you live in Maryland or you are visiting Maryland, we are here to help if you are injured in an auto accident. Contact Pinder Plotkin LLC by calling 410-661-9440 to schedule your free consultation with an Annapolis personal injury lawyer.